Mike came prepared with lot’s of different outfit options, including his football uniform and gear for his senior portraits. Like a few other seniors, mixing the sport or hobby the senior likes with senior portraits is always an option I like to try. Usually we can come away with some unique senior portraits that allow the senior’s personality to come through a little more. 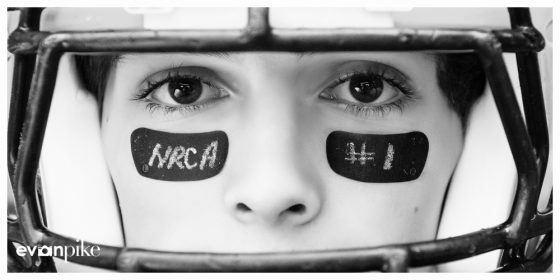 Mike’s senior portraits were a good example of this and not only did we create some great senior portraits using football gear but also a wide variety of traditional and casual senior portraits as well. 2017 seniors in Cary, Raleigh, and Apex, now is a great time to Contact me for your high school senior portrait session! 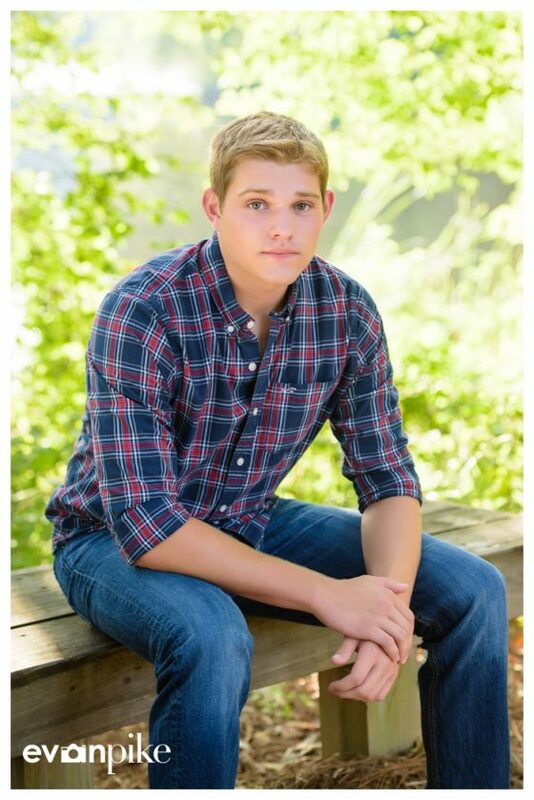 Book your senior portrait session early to reserve your date! Harrison’s senior portrait session reminded me a little of my own senior portraits back in the day as he wasn’t too keen on smiling a lot. Yes, I admit, when I was a senior in high school I thought it was cool not to smile in portraits… Now as a photographer, when taking senior portraits I don’t necessarily want the seniors smiling the entire session (the muscles in face would be exhausted) but with Harrison, even though his serious portraits were coming out great, it was almost a game or challenge for me seeing if I could make him smile in a few senior portraits! 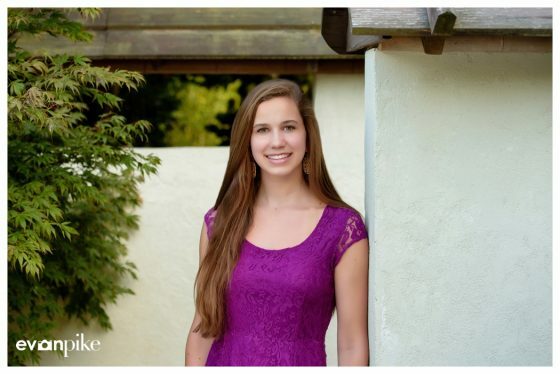 Melissa and her family signed up for a 2 hour multiple location senior portrait session. Combine that with her naturally being comfortable in front of the camera and I have many senior portraits to share with you! Weather could have been worse but wouldn’t have called it ideal weather for senior portrait photography in Cary, but Melissa did a fantastic job handling the heat and any poses for her senior portraits while still keeping it looking comfortable and natural. 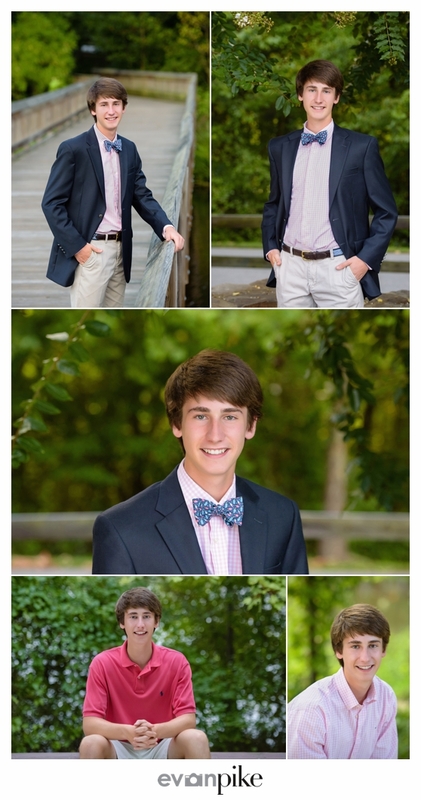 Lot’s of great senior portraits to choose from here! 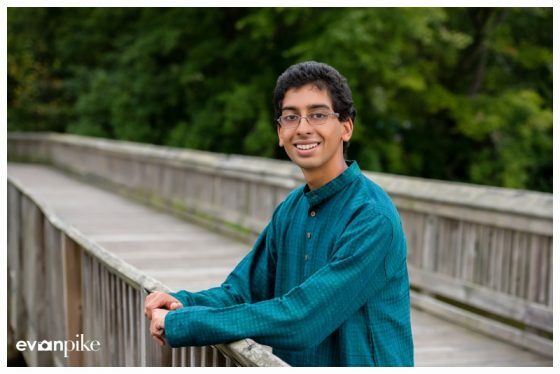 Having just completed one senior portrait session with a girl wearing a sari, it was cool to have a guy wearing the traditional clothes for my next senior portrait session in Raleigh! I think the clothes that Shreyas is wearing is called a Sherwani and was really digging the deep green color. It was also fun having his brother along for a few photo bombs and even fewer posed sibling portraits with his older brother. 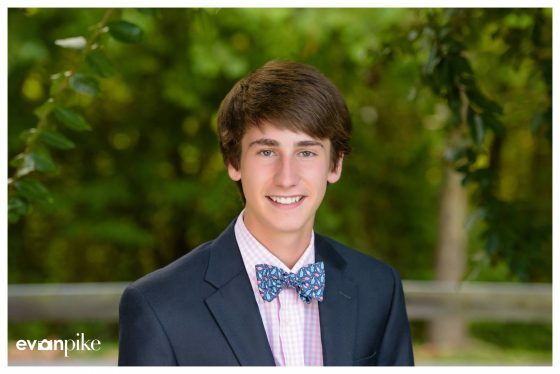 The 2016 senior portrait season kept rolling through the Summer in Raleigh. 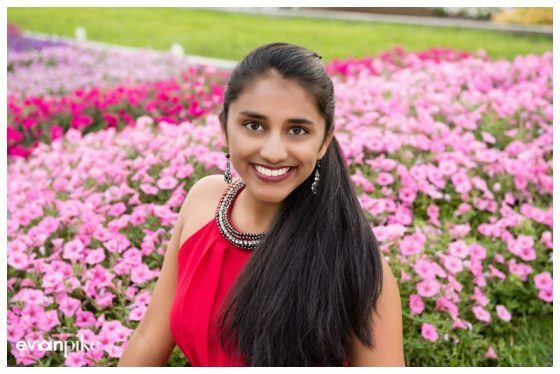 Next up was Maneesha who had a few special senior portraits planned. We took some senior portraits with her (adorable) dog and also a few senior portraits of her wearing a sari (or is it saree, I’ve seen both), a traditional Indian dress. 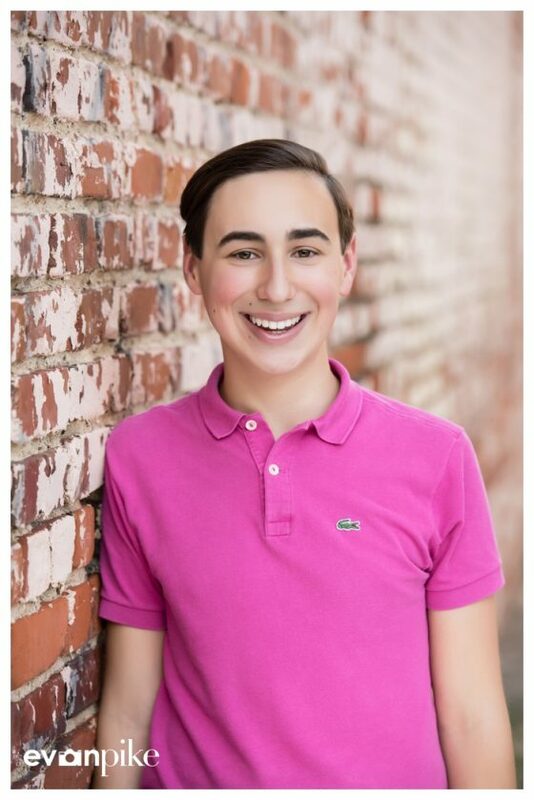 Even though I’m super casual myself, I think the senior portraits come out fantastic when we can convince the high school seniors to get dressed up in formal or traditional clothes! 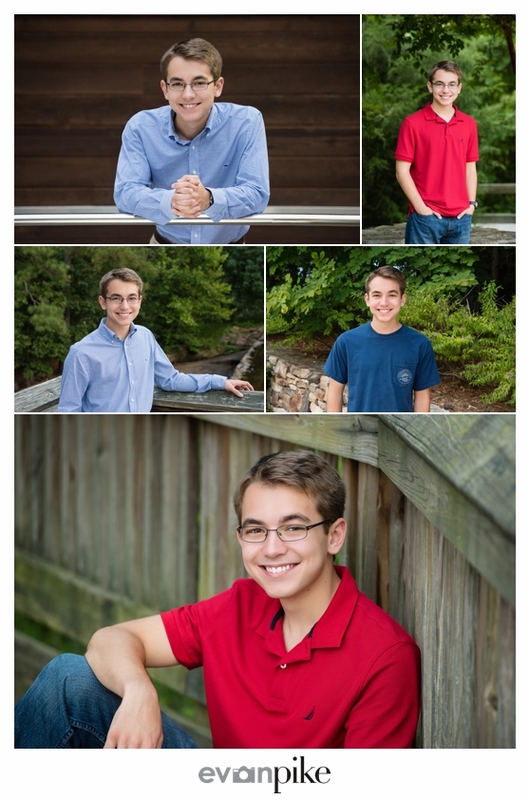 After a break from one of my preferred locations for senior portraits, it was back to the Raleigh outdoors for Jonathan’s senior portrait session. Before every senior portrait session for a guy, I always think back to my own high school senior portraits where I was dreadfully uncomfortable. If Jonathan wasn’t comfortable, he surely fooled me! 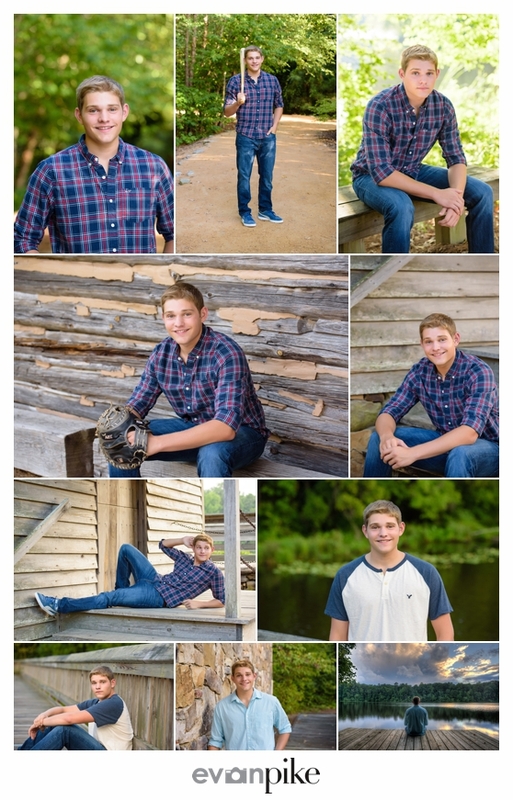 He was able to keep cool and easy going throughout the session and really shows through his senior portraits. 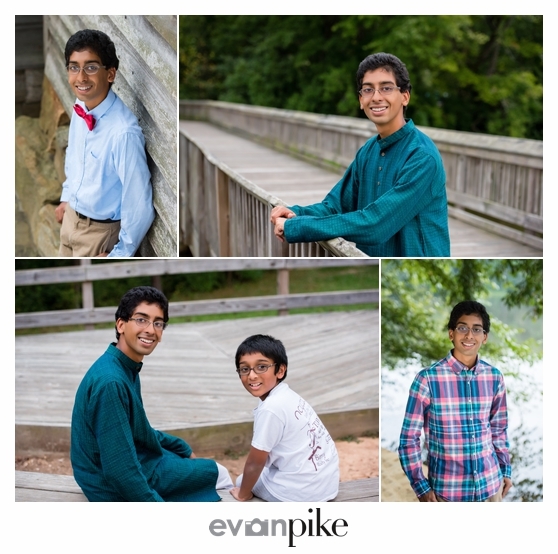 If you’ve spent any time on my blog, you will notice that I have a few preferred locations for senior portrait photography. Though it’s always fun being invited into a families home to take senior portraits and often provides unique opportunities like with Stuart’s senior portraits. 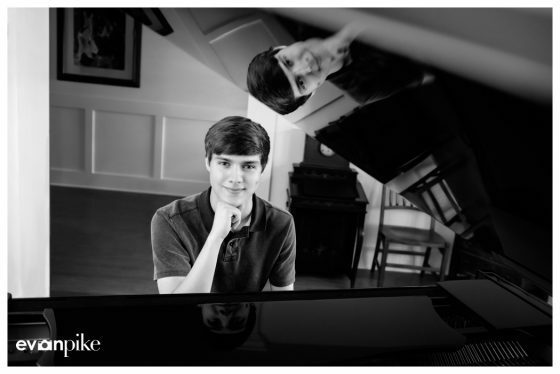 If couldn’t guess, he is quite the piano player and we had fun incorporating that into his senior portraits but also went outside for the more traditional senior portraits. 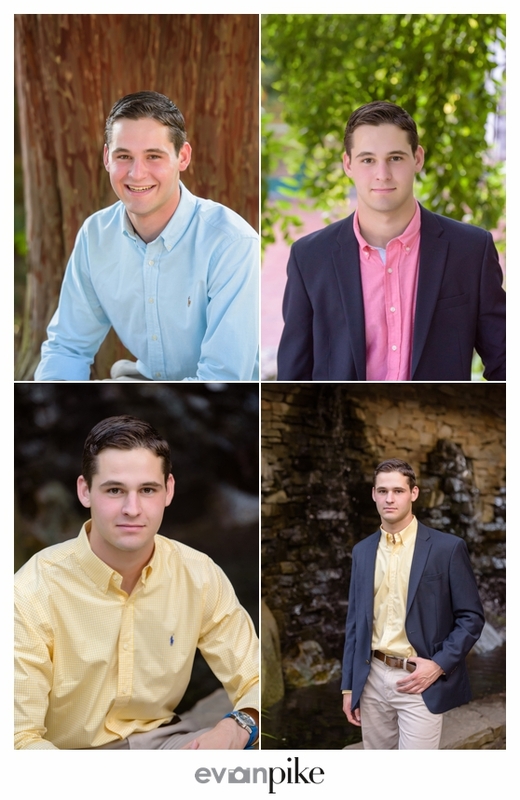 I’m not sure how he did it, but like a few other seniors, Kevin handled long pants, button up shirt and a jacket with ease for his high school senior portraits even with a hot North Carolina Summer day! 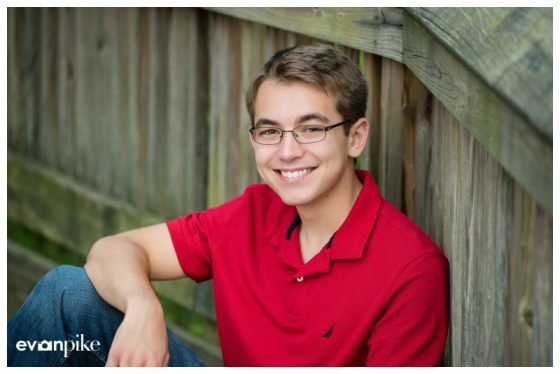 Not only that, but Kevin adjusted to being in front of the camera quickly and was very comfortable for his senior portrait session allowing us to come away with some great senior portraits! 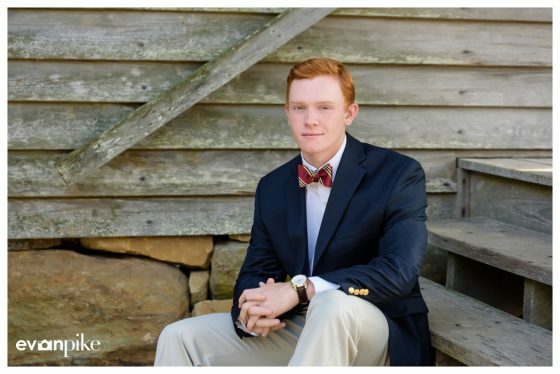 I’m still not quite sure how, but Keagan was able to rock khakis, shirt, bowtie and a sports jacket for his senior portraits on a hot and humid North Carolina Summer day without breaking a sweat! I was in shorts and a polo and I was struggling but Keagan handled it with ease and we came away with some really nice senior portraits. 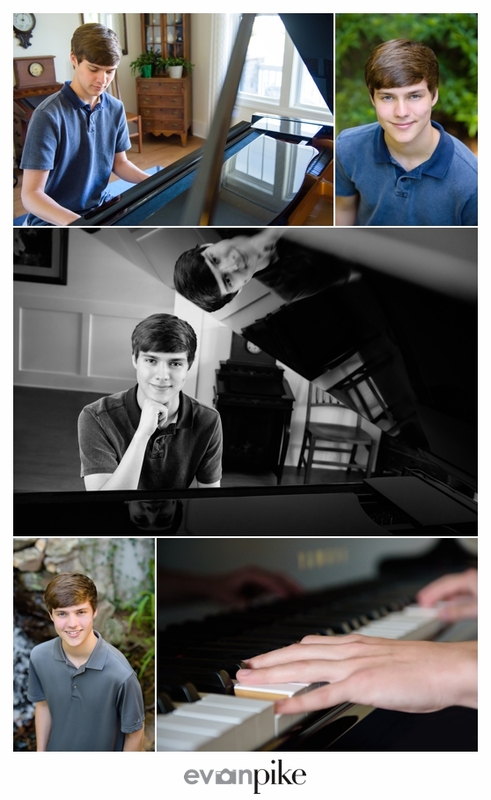 He did have a few other outfits to wear for more casual senior portraits but handled everything as a natural! Justin was another high school senior that is a younger sibling of a previous high school senior I took portraits of and we had a great time taking his senior portraits! The heat and humidity wasn’t as bad as it couldn’t have been for a Summer day in Raleigh and we had a great sunset for me to play with an HDR image of Justin sitting on the dock. 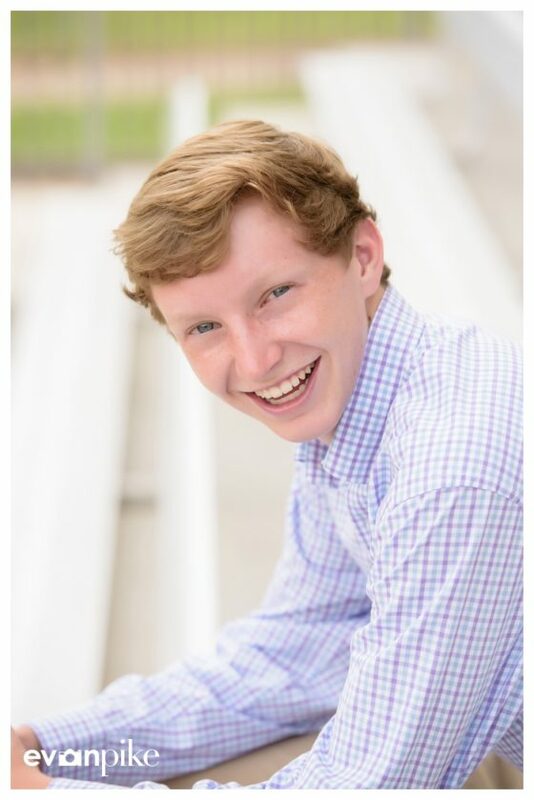 As you can tell by Justin’s model pose below, we had a lot of fun with taking the senior portraits! Also again, I really like mixing a sport or hobby with the personal style! Rachel wanted to take her high school senior portraits at her school in Cary. We had nice weather (though a little warm as always for Summer days in NC) and a variety of different outfits that helped us come away with some classic portraits and some casual and fun senior portraits. 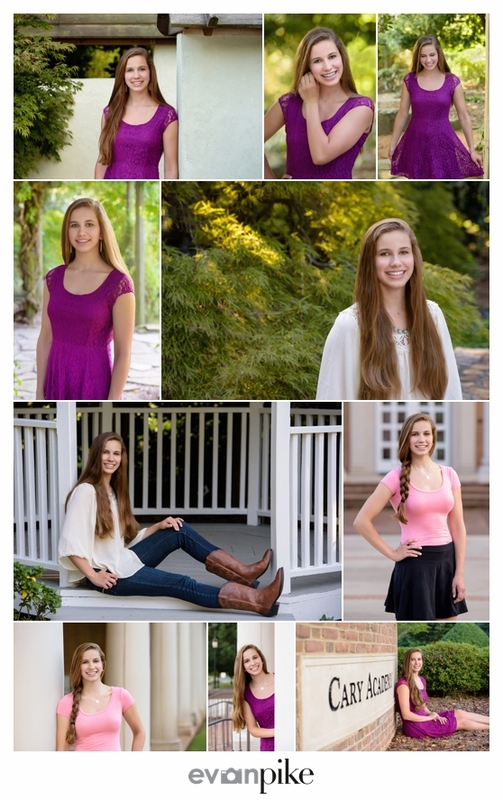 Check out some more of Rachel’s high school senior portraits below! 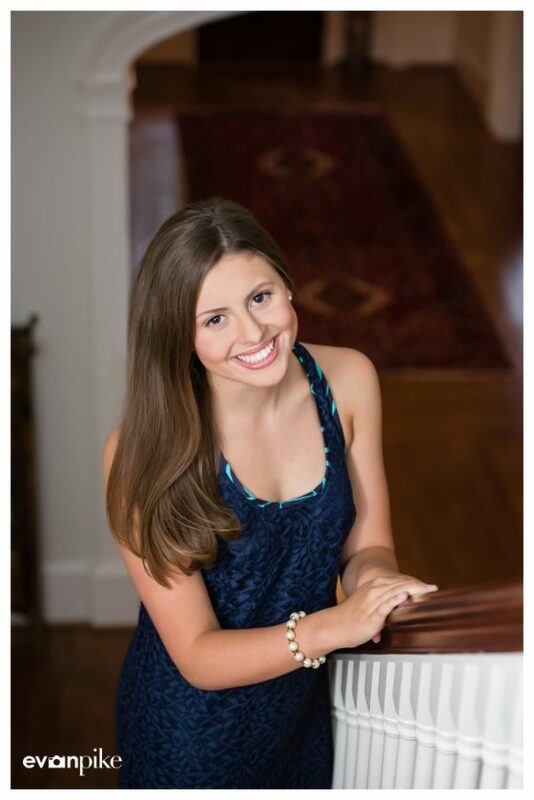 Sarah wanted to take her high school senior portraits at her home in Raleigh. The portraits inside came out really classy! It was a really hot and humid day in Raleigh so we started out inside with a few portraits and then allowed her dog to hop in a portrait. Keeping Sarah’s hair straightened in the humidity was a big concern as well but we were able to take some great senior portraits outside before the humidity took over! 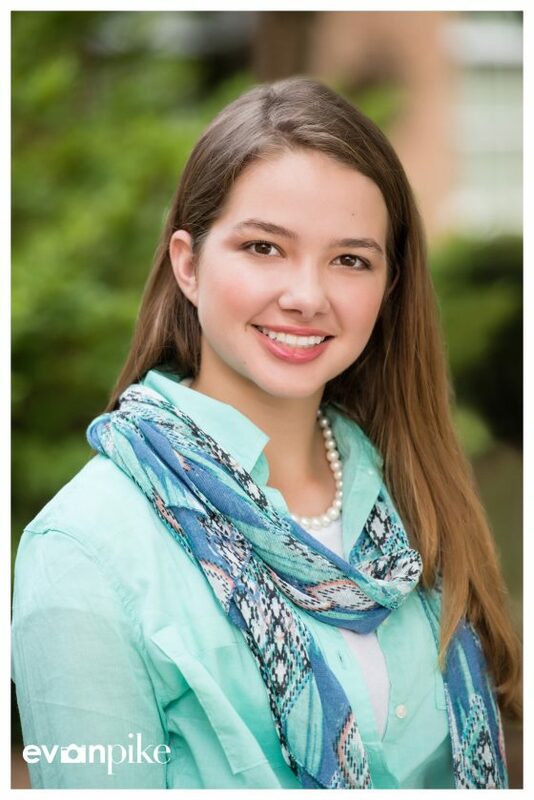 Another day, another high school senior portrait session in Cary! Nate wanted to take his senior portraits at his school in Cary and also wanted to incorporate track and field into his senior portraits. 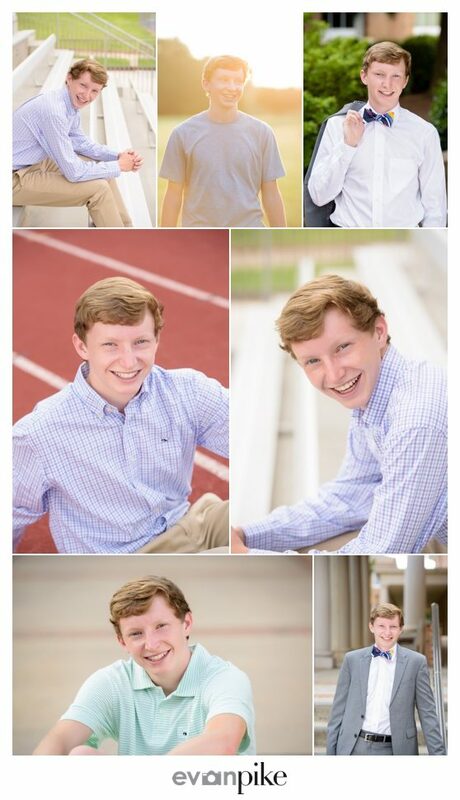 Not that track and field uniforms are stylish, but I think high school senior portraits can turn out great with mixing the senior’s passion while still staying a little dressed up. Not to mention uniforms are well, uniform, so it’s easier for the senior’s personality to come through with their own clothes for their senior portraits! 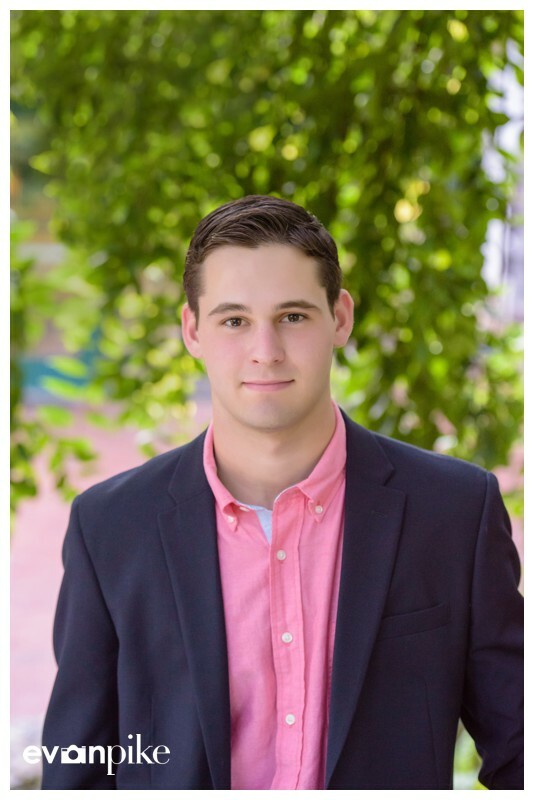 Jack’s senior portraits were in downtown Raleigh on a hot Summer day but he somehow was still able to keep cool for his senior portraits. We had a lot of fun and Jack had a lot of unique ideas for portraits that he wanted to take. It’s always fun when seniors have ideas for poses that they want to try for their senior portraits!